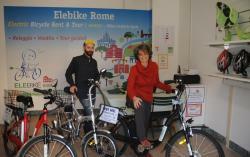 Tours from Wheely Bike Rental & Tour tend to sell out - travelers recommend booking in advance! Thank you so much! Is really the best way to discover the city of Rome: at the sun set and with a dinner included!!! So, we hope to see you soon again and let us grow by making ourselves known through your friends and relatives. 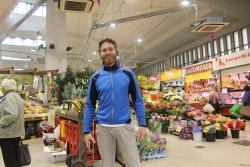 Great guides take you safely around Rome, and give great insight to the history. Easy cycling and good size groups. Thank you for your kind review! We are very happy that you enjoyed the tour and our bikes! We hope as well to see you soon again and we look forward to welcoming you and your friends again in Rome!!! I was a little worried when I booked this trip. The idea of riding a bike through Rome with all the traffic was a little concerning but I thought this would be a really neat experience. It was absolutely perfect! We were the only two people booked for our tour so it ended up being a private tour with Stefan. My husband and I had a wonderful time. The peddle assist bikes were in great shape and helped out when we went up some steep hills. Very well worth the time and money. Thank you Jennifer! 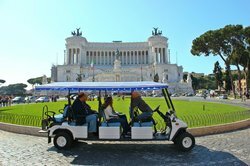 So many people at the beginning belive that Rome by bike is dangerous, but thanks to our very well prepareted guides the tour become one of the most exiting tour in the city!!! Thank you for your kind review! 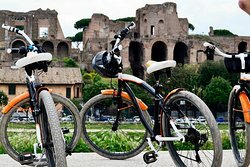 Is very important for us that your experience in Rome by bike is the best possible, so we are happy to hear that with you we have succeeded! We do our best every day to offer our customers the best possible experience. Every day we check our bicycles so that they can always be at the top and we try to provide the best assistance during the rental, but we have never provided gps. Anyway, we hope to see you again very soon! 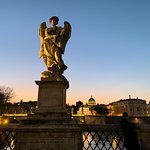 This is by far the best way to see Rome and indulge in its fine history. Our tour guide was so great telling us so much more background on Rome and took us to a fantastic spot for lunch in the countryside. I would do this trip every time.